Mark is the Washington correspondent for Sky News. He is a multi-award winning broadcast journalist who has spent 35 years reporting and presenting for ITV News and the BBC. In his three decades at ITV News, Austin presented both News at Ten and the Evening News ‪at 6.30pm, often on location from places as far afield as the Antarctic, Iraq, the Israel/Gaza border, Libya, Haiti, Nepal, Mogadishu, Afghanistan and Washington. Along the way, Mark conducted numerous agenda-setting interviews with the likes of Prince William, Nelson and Winnie Mandela, Gordon Brown, Shimon Peres, Tony Blair, Sir Jock Stirrup and Bob Geldof, among many others. Previously Mark was Senior Correspondent for ITV News, covering major foreign and domestic stories. For fifteen years he was a foreign correspondent based in Africa and Asia and travelling all over the globe. 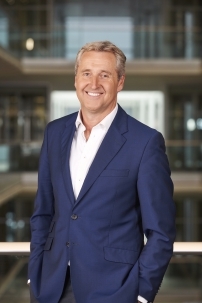 In 2011 and 2015, ITV News at Ten was named RTS Programme of the Year under Mark’s watch and he won Presenter of the Year at the 2014 and 2015 Royal Television Society for Journalism awards. Mark’s achievements include winning five BAFTA awards; an International Emmy in 2000 for his reporting of the devastating floods in Mozambique, a Golden Nymph in 1999 for covering the war in Kosovo, a Gold Medal at the 1996 Film & Television Festival of New York for his coverage of the Bosnian war and being named TRIC’s Newscaster of the Year in 2010. Mark started his career in local newspapers before joining BBC News as a reporter, becoming one of the youngest national reporters ever appointed by the BBC. In 2017, Mark presented several programmes for LBC. Wasting Away: The Truth About Anorexia, a documentary he made with his daughter Maddy, tackling the subject of anorexia and how the NHS deals with this and other mental health issues was broadcast on Channel 4 last year. Mark regularly hosts corporate events and also speaks on mental health issues.